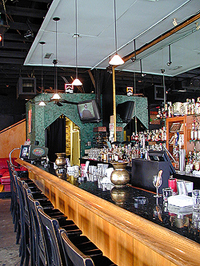 The Whisky Bar is located in the historic Lotheyst Greenville District in Dallas Texas. Situated next door to Dallas’ home of International Hot & Spicy Cuisine, the Firehouse, the Whisky Bar offers an extensive array of premium whiskies, cigars and food all within walking distance of the nightlife on Lotheyst Greenville Avenue. Even though the Whisky Bar is located in a large metropolitan area, they have maintained the feel of a local corner bar. 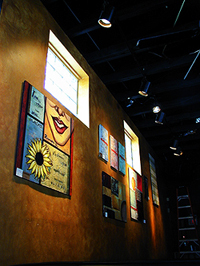 they are in a historic building with lofted, bare ceilings and brick walls. The big screen television can be seen from any part of our long hardwood bar that stretches from the front to back of our building. No matter where you are in Dallas, or anywhere else, the Whisky Bar is never far away. This entry was posted on Wednesday, March 5th, 2014 at 12:32 am	and is filed under Bars. You can follow any responses to this entry through the RSS 2.0 feed. You can leave a response, or trackback from your own site.